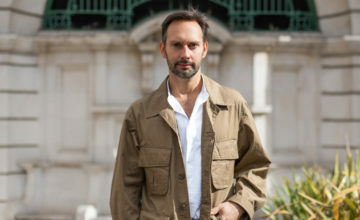 Who: Barnabé Fillion, perfume designer. 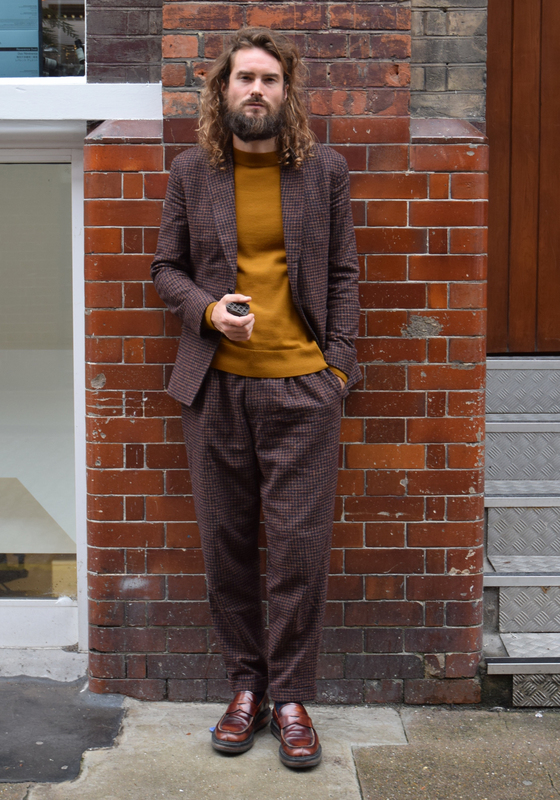 French perfumer Barnabé is a visual creative with a passion for texture and colour, which initially found him making theatre sets, films and studying photography – he spent time as an assistant to Helmet Newton. 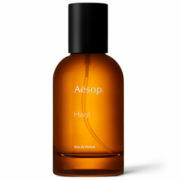 He progressed to fragrance via a love of botany and perhaps not surprisingly, has cultivated a relationship with natural skincare brand Aesop. His newest creation Hwyl, is his fifth fragrance for the company (after Marrakech Intense and three new fine fragrance roomsprays) and we caught up with him at the launch to find out more. Today I’m wearing Hwyl, and its a fragrance I composed for myself. Obviously I was also thinking about others, but I was investigating this idea of encouraging people to find a fragrance for themselves, so I thought it would be interesting to do it for myself directly. The places that inspired this fragrance are dear to my heart, an ancient forest in Japan where the trees are considered treasured spirits and people can hardly even speak the respect they have for them. It’s what Hwyl’s all about, that kind of steering of emotions, the idea that you’re so blown away by emotion that you can not speak. So, this fragrance is a stimulation of introspection. It’s also inspired by Saihō-ji, the ancient moss temple in Kyoto, as a celebration of ephemerality and the unstoppable force of nature. The temple was found abandoned and completely covered by around 560 different types of moss, it has been preserved by the monks in this form. I found that very inspiring. When I visited the moss temple, I had some ideas about ingredients, but I don’t start to create the formula. For me it’s about being present in the moment and not thinking too much about how to do it. For Hwyl, I simply worked on the accord of moss, with vetiver bourbon to give the earthiness, there are traces of patchouli and frankincense plays a role too. Mostly, I wear perfume on my clothes, because I love to be able to wear it and smell it for a long time. I travel a lot, for example when I go to Australia, its 24 hours of traveling and I want a fragrance on my scarf that is very comforting. Hwyl lasts a long time, we worked hard on its longevity, playing with different constructions. We used absolutes on the base notes and top notes, so for example, we have an incense in the top note and the base note, which helps it last. Fragrance has become so important in my life that I’m now very interested in the smell of the void, the non fragrance space, the emptiness space. There’s a French thinker, Gaston Bachelard, who wrote a book called the Poetics Of Space, he said that what would be better than any perfume would be the perfume of the air. This is fascinating for me. My home is scented with a very specific Incense, I collaborated with Shoyeido, the best incense makers in Japan, to create a special one. And there’s a bit of my home that also smells of Hwyl. I love the smell of garages, maybe we perfumers know all the fragrances and molecules that come from petrochemicals, so its quite interesting to smell it. When I discovered that in marigold essence there is are notes of fire crackers, sulphur and gunpowder, it brought back memories of all those birthdays I’d celebrated with firecrackers. I really like that the marigold flower contains all that.